Brian Steinberg was born and raised in Las Vegas, NV, the youngest son of Faye and Dr. Leon Steinberg, founder of Steinberg Diagnostic Medial Imaging. While both of his two older brothers and his younger sister chose to follow their father in fields of medicine, Brian decided to go in another direction… family law. As a teen, Brian attended Valley High School, then college at UCLA and the University of Arizona, a stab at medical school and the realization that his heart was passionate about helping families, especially children, and the best means for him to attain that goal was through family law. He graduated from Southwestern School of Law and after a few years, set up his own firm, Steinberg Law Group. I sat in Brian’s office for a few days while his assistant was on vacation. What I saw was transforming. Despondent people walked into his office, looking like the weight of the world was on their shoulders. As they emerged from his office, you could physically see how the weight had been lifted, how they felt hopeful and empowered. I asked Brian about the process. “As a family law attorney, you really do earn the title ‘Counselor’, because most of what I do with my clients is listen and ask questions”, he explained. “Sorting through issues, coming up with solutions, actively taking part in the process and getting results” are part of his daily life. While litigation has been the backbone of Steinberg Law Group since inception, mediation has become more and more important to Brian. “With mediation, clients can invoke the moral universe as well as the legal universe in order to come up with custom-tailored solutions”, he explained. “Mediation is generally less expensive, private and less time-consuming than litigation. Plus, a judge doesn’t know you, your children or your particular situation.” He has set forth an initiative to educate the public about family law mediation. 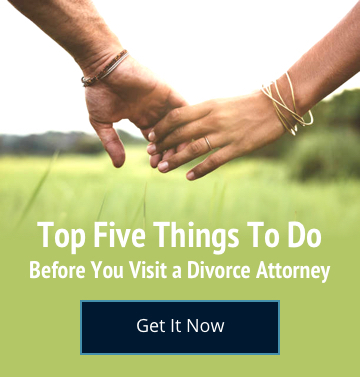 “Many people don’t realize that there is another way of handling a divorce or child custody action that doesn’t involve opposing attorneys and that leaves people more open to co-parenting”, he said. Faye and Leon’s marriage showed Brian how good a relationship can be. He sees his parents making a difference in Las Vegas, nationally and internationally, actively taking part and contributing to causes that change people’s lives. In his own way, helping people through extremely difficult times of their lives, Brian Steinberg is making a difference.